As we (that’s you, the readers, and me, the writer new to this format and location) figure out how best to format our entertainment coverage, I may be throwing many ideas against the wall to see what sticks. I do like the idea of a few easy-to-read digests of weekend events, so let’s try this: One about events (which you’re reading now), one about movies (still to come today) and one about live music (to post Fridays). Thoughts? Feel free to let me know. Comedian Gabriel “Fluffy” Iglesias will return to town for a 7:30 p.m. Sunday show in the Amarillo Civic Center Complex Cal Farley Coliseum, 401 S. Buchanan St. “Comedy was something I always saw as a way of getting attention,” Iglesias told Zap2It in October. “It was a way of interacting with people. I wasn’t the most popular kid. I had messed-up teeth. I was overweight. I had a pimple face, you name it. So the best way to interact with people was by making them laugh.” Iglesias is perhaps best known for his self-deprecating cracks about his weight (hence his nickname), but he has shed more than 100 pounds and is chronicling his attempts to keep it off on “Fluffy Breaks Even,” a new series for Fuse (the title of which he also used for this tour). On the show – which returns April 7 for a second season – Iglesias and his buddies indulge in the best food their tour stops have to offer, then come up with some “larger-than-life physical challenge” to work off the calories, according to Fuse. 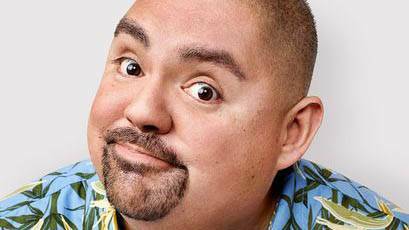 Gabriel “Fluffy” Iglesias: 7:30 p.m. Sunday. Amarillo Civic Center Complex Auditorium, 401 S. Buchanan St. Tickets $29 to $59, plus fees. 806-378-3096 or www.panhandletickets.com. Amarillo Symphony’s March concerts – set for 7:30 p.m. Friday and Saturday – willfeature the beloved “Firebird Suite” by Igor Stravinsky, acclaimed violinist Elena Urioste on John Corigliano’s “The Red Violin: Chaconne for Violin and Orchestra” and Aaron Kernis’ “Air for Violin and Orchestra,” and Chris Rogerson’s “Shadows Lengthen.” Rogerson is the Symphony’s composer in residents; Kernis was his teacher. For more, check out this feature from earlier this week. Amarillo Symphony: 7:30 p.m. Friday and Saturday, Globe-News Center for the Performing Arts, 500 S. Buchanan St. Tickets $19, $34 and $49. 806-376-8782 or www.amarillosymphony.org. Performances continue through Sunday of TheatreAC’s production of “Urinetown,” a hysterically sharp satire that’s premised around a drought-stricken nation that forces folks to pay for the – you guessed it – “privilege to pee,” according to one memorable song. Check out this feature for more info. “Urinetown”: 7:0 p.m. Friday and Saturday and 3 p.m. Saturday and Sunday, AC Experimental Theatre. Tickets $8 adults; $6 students, seniors and AC employees. 806-371-5359 or www.theatreac.org. The Headless Horseman is coming for you in Amarillo College Conservatory Theatre’s “The Legend of Sleepy Hollow,” on stage through Sunday in Ordway Auditorium on the AC Washington Street campus. To see how the young actors and their teachers brought the Horseman to life, check out this feature. “The Legend of Sleepy Hollow”: 7:30 p.m. Friday and Saturday; 2:30 p.m. Sunday, AC Ordway Auditorium. Tickets $12. 806-584-8985. Student photographer are displaying works as part of the ongoing examination of moral courage through the Amarillo College 2015 Common Reader selection, “Between Shades of Gray.” The show will hang in the new student gallery in the third-floor commons area at Parcells Hall through March 24. “To create work in response to literature is a challenging assignment,” Rene West, assistant professor of photography, said. “What impresses me the most every year is the diversity of the images created, and how the students each find their own unique solution.” “Between Shades of Gray” by Ruta Sepetys is an account of a family’s forced relocation to a Siberian labor camp in the 1940s. The show was judged by Alex Gregory, Amarillo Museum of Art curator of collections, and Courtney Milleson, an AC assistant professor and chair of the Common Reader committee. An awards reception will be held at noon March 22 in the gallery. Amarillo Little Theatre’s production of “Love Letters” continues through Sunday on the ALT Mainstage. Allen Shankles stars as Andrew Makepeace Ladd III opposite a rotating cast of favorite ALT actresses as Melissa Gardner – Lynae Latham Jacob on Friday, Cindi Bulla on Saturday and Anne Lankford on Sunday. Amarillo Little Theatre’s “Love Letters”: 8 p.m. Friday and Saturday; 2:30 p.m. Sunday. ALT Mainstage, 2019 Civic Circle. Admission prices vary. 806-355-9991 or www.amarillolittletheatre.org. Reservations are due soon for Amarillo Opera’s Fol de Rol: A Pirates of Penzance Ball. The fundraising gala – set to begin at 6:30 p.m. March 19 at the Amarillo Country Club, 4800 Bushland Blvd. – will be full of swashbuckling flair, inspired by the Opera’s upcoming performance of Gilbert & Sullivan’s “Pirates of Penzance” on April 2 and 3. Tickets are $150, including dinner, silent and live auctions, gambling, live music and more. For information, call 806-372-7464 or visit www.amarilloopera.org. … Spots for the March 19 Amarillo Walking Tour are all taken up, but a few remain for walks on April 2 and May 21. The walks through downtown Amarillo are led by Panhandle-Plains Historical Museum’s Michael Grauer and take participants from the Herring Hotel to the Santa Fe Building. Cost is $25. For information, call 806-651-2258.